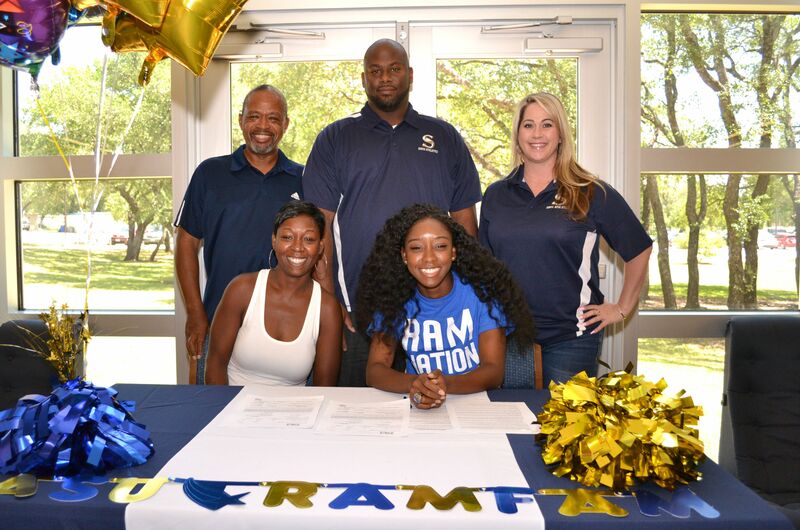 Congratulations to Octavyia Williams who signed a letter of intent to run track at Angelo State today! Octavyia has been an essential part of the Savio track program over the past two years and we are so excited to watch her continue to run. Octavyia was part of the 2015-2016 State Champion team, a 1st Team All State runner and is continuing to break records this season. The 2017 St. Dominic Savio Golf season comes to an end at the TAPPS Regional Golf Tournament at the Fossil Creek Golf Club in Ft Worth, TX. 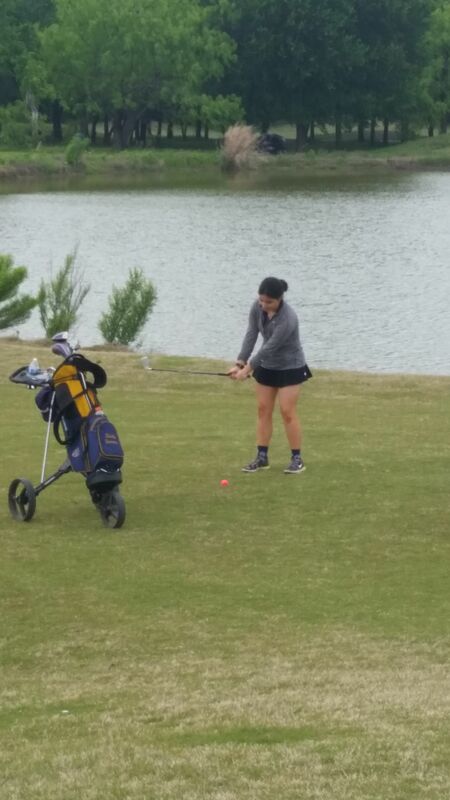 Lady Eagles – Connor Neill, Shelby Ferraris, Katie Brooks, Andrea Rodriguez and Sydney Martinez were challenged to the beautiful and difficult Fossil Creek Golf course. The Eagles played a very smooth round with both shooting a very nice score of 84. They overcame mental adversities and challenges the game provided with bad bounces and a few errant shots. However, over the course of 18 holes both Brandon and Z-Je kept playing and trusting in their preparation to post their scores. 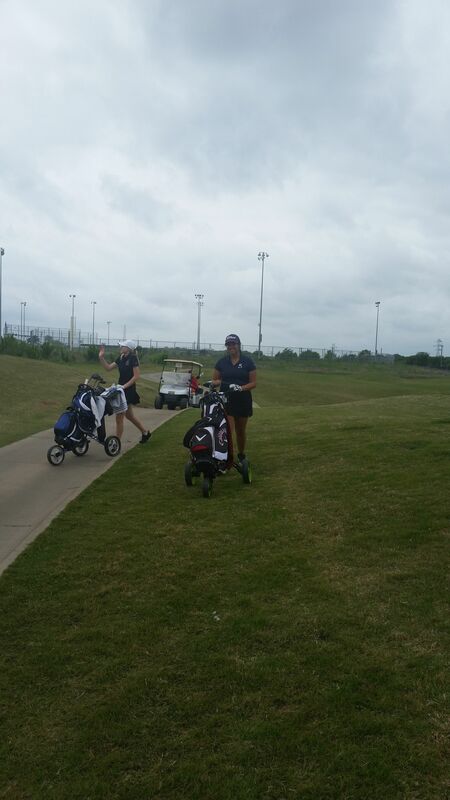 The Lady Eagles also played their best, however, found that sometimes the course has other ideas and on this day Fossil Creek’s teeth was a little too much for our Ladies. They played well and kept swinging the way they practice. There was disappointment and frustration but all in all they came away knowing that with more practice and effort there is another day to post a better score. The 2017 season had many ups and downs very much like a round of golf. The bitter is knowing that the season is over for the year but the sweet is looking forward to summer golf and rounds with newly made friends. For the coaches, it is much the same bitter sweet. For Coach Becerra it is having to say, “So Long” to Senior Ms. Connor Neill. 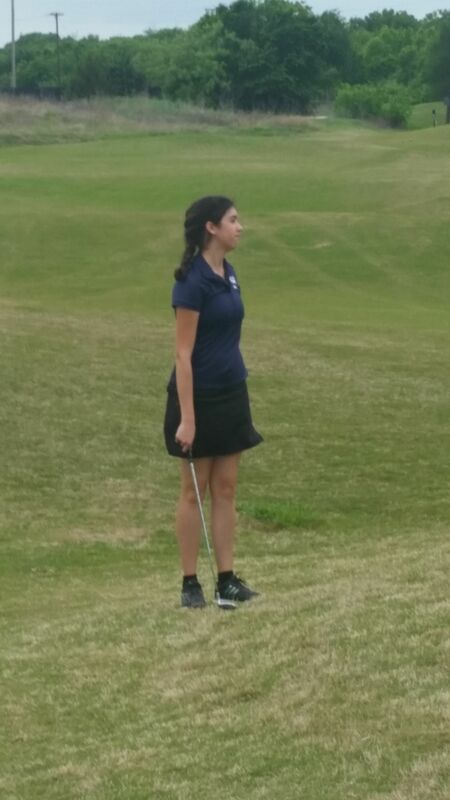 Ms. Neill ends her 4 year Savio Golf career as Coach Becerra’s third 4-year letterman. "Connor Neill, I wish you all the best as you leave us to become an Ole Miss Rebel. Coach Jameson and I are looking forward to the 2018 season and making a strong run to State." Nicholas Butler was never very easy to hide on the tennis court. As a freshman, he already towered over the seniors on St. Dominic Savio's tennis team; you would have thought he got lost on the way to basketball practice. Butler was a carefree freshman who could always be found sporting Stevie Wonder sunglasses on the court with a smile. Over his four years playing tennis for Savio however, his intensity in training and dedication to his teammates has grown leaps and bounds. 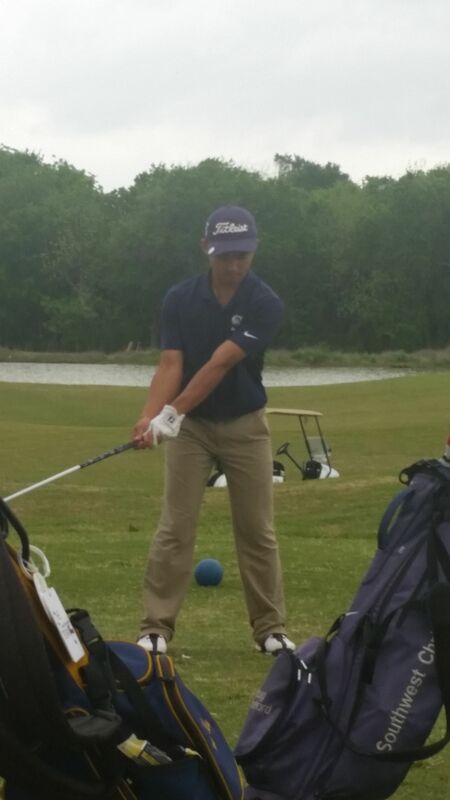 With an approach of consistent practice over time, Butler has cemented his place among the Savio State Qualifiers. After winning first place in the district tennis tournament in 2016, Butler played in the state tournament for his first time with partner, Peter Spangler. The two dominated at district, and though they didn't win state, they were easily the strongest boys' doubles team Savio has ever fielded. He made a goal after playing doubles for three years though, that in his senior year, he wanted to play singles. Butler increased the intensity of his training during the off season to make the jump from doubles to singles, and all his extra work paid off this year. Butler won fourth place at this year's district tournament with some very close matches. Our district was larger than it had been in the past, with eight schools total instead of four, but Butler still found a way to come through the singles bracket as a medalist and qualify for the state tournament. This year, state was held at the Waco Regional Tennis Center on April 13-14. Butler played Michael Barsky of Emerson High School first round. Butler won the first game of the match convincingly to take a 1-0 lead, but then Barsky turned up the heat. Butler battled injury in the week leading up to the match and during his match against Barsky, his muscle strain only worsened. Though he was in pain hitting backhands on his left side, Butler never complained and fought honorably to the finish. Barsky won the match 6-1, 6-0 and went on to win the state tournament for his second time. Not only did Butler show great sportsmanship in the final match of his high school career, but he earned a place in eagles tennis history because of it. Butler is the only player at Savio to have qualified for state twice in separate divisions. To switch from doubles to singles is not an easy thing to do for any player. His intensity on court has increased enormously over the years, with his footwork, consistency, serve, and mental toughness all helping him reach his goal of qualifying for state in singles. Butler has been a leader for the team, and it will be hard to watch him graduate this year, but it will be exciting to see the next step as he chooses a college from the many that would be lucky to have him. Congratulations to Nick on an excellent year and tennis career! 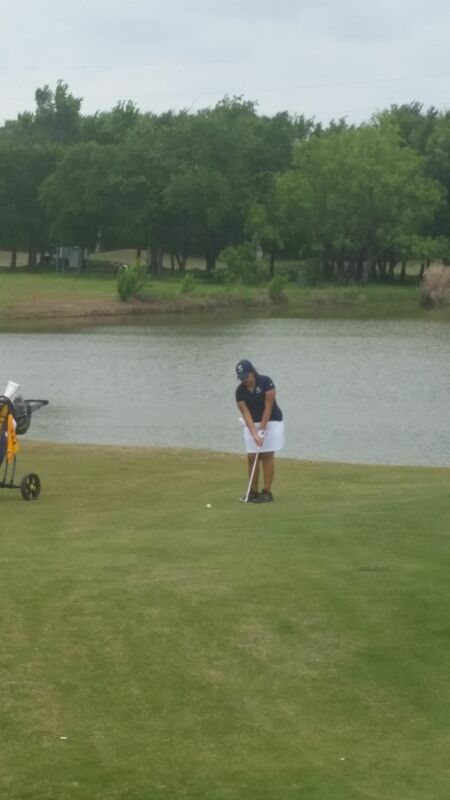 The Savio Eagles and Lady Eagles golf teams wrapped up district play last Tuesday, April 11, at Hidden Creek Golf Course in Burleson, TX. 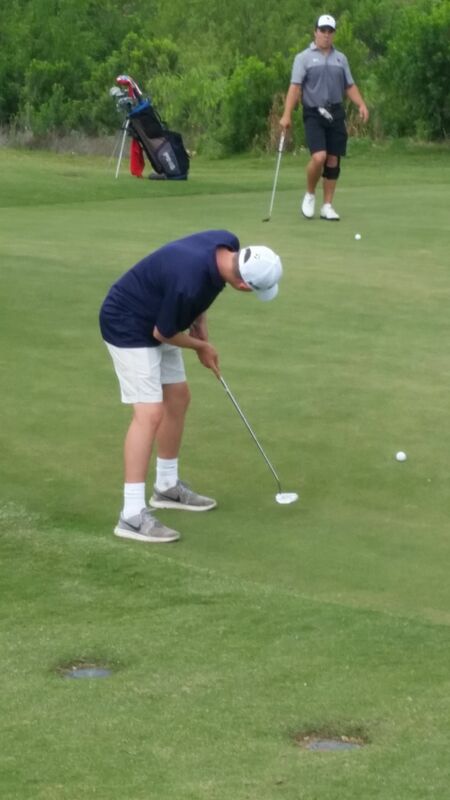 Both teams competed admirably, especially on the second day of the 36-hole event. 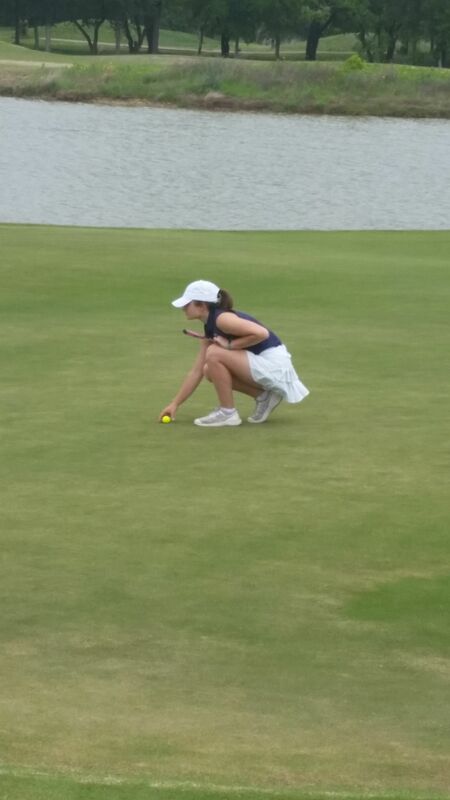 In the end, the Lady Eagles finished 3rd in their division and their core of top-5 golfers will advance to the regional tournament on Monday, April 24, at Fossil Creek Golf Club in Fort Worth. Senior Connor Neill earned an 11th-place finish among medalists with her solid play. For the Eagles, though, the golf season was a heartbreaking replica of last year's, as they finished a single shot outside of regional qualifying in taking 5th place. The men bounced back from a less-than stellar opening round with all 5 golfers playing gutsy rounds on Tuesday to get them back in the hunt. While the Eagles do not advance as a team, Sophomores Brandon Brown and Z-Je Marcella will play as medalists at Fossil Creek, as they earned 11th- and 13th-place medalist honors, respectively. 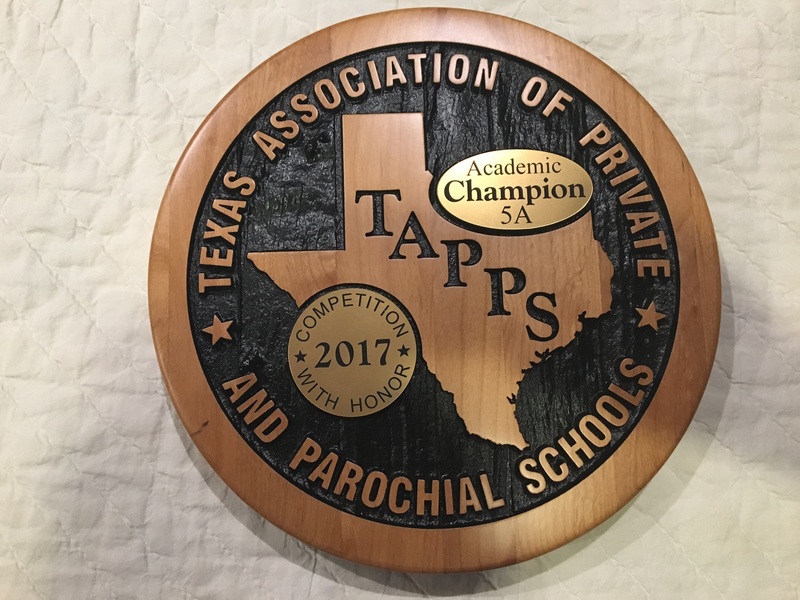 The TAPPS Academic State Championships were held at the Waco Convention Center on April 3rd through 5th. 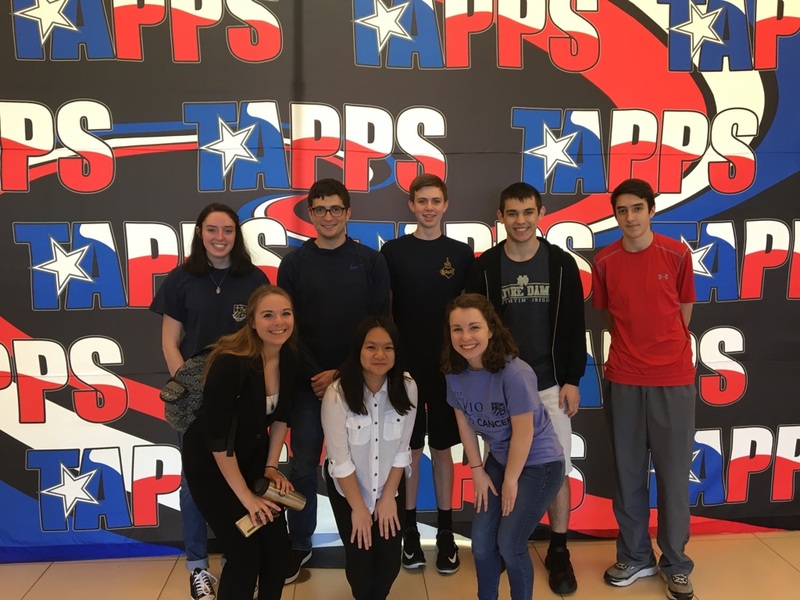 Savio's academic team faced off against 23 other teams from the TAPPS 5A division. At the end of the competition the Eagles finished with 115 points (almost doubling their total of 61 from last year) and claimed the title of Academic Champion. 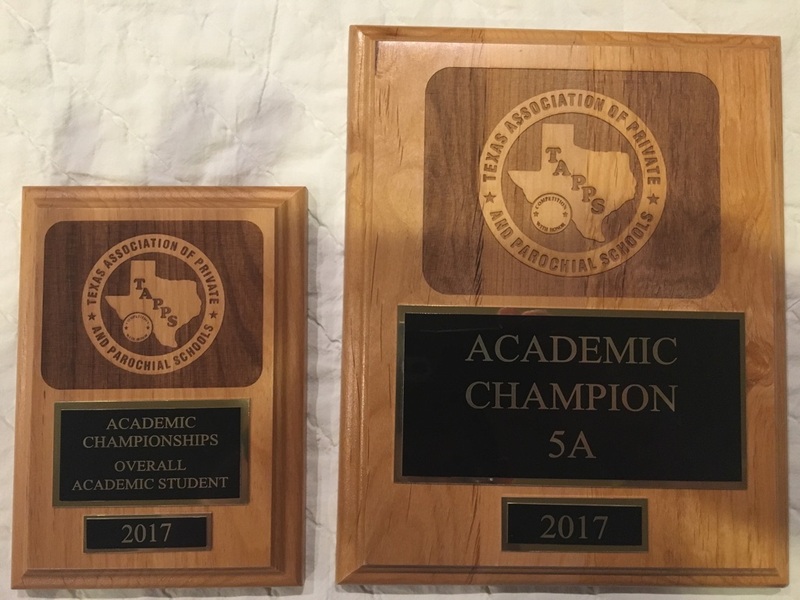 The following schools rounded out the top six: Austin St. Michael's Catholic Academy with 84.5 points, Midland Christian School with 78 points, Tyler Grace Community School with 73.5 points, Tyler All Saints Episcopal School with 71.5 points and Corpus Christi Incarnate Word Academy with 60.5 points. Senior Emily Shoemaker earned the distinction of top overall academic student by scoring a total of 32 points. Congratulations Emily! Individual results are shown below.